Improve circulation, agility, and flexibility and ease back pain with this hip opening yoga sequence. Move your hip joint through its entire range of motion, improve alignment and release all stress and negativity. To properly warm up your body and lubricate the joints, start this hip opening sequence with 4 rounds of the sun salutation flow. 1. Downward facing dog pose: 30 seconds. Place your hands on the floor, extend your arms and legs, and lift your hips up and back. Breathe deeply, open your shoulders and push your heels down. 2. One legged downward dog pose: Inhale as you lift your right leg up. 3. Low lunge pose: Exhale as you step your right foot forward between your hands, lower your left knee to the floor and place the top of the left foot on the floor. Inhale, lift your torso up and sweep your arms out to the sides and overhead. 4. Downward dog pose: 30 seconds. Exhale as you return to downward dog pose and then repeat poses 2 and 3 with the left leg. 5. One legged downward dog pose: Inhale as you lift your right leg up. 6. High lunge pose: Exhale as you step your right foot forward between your hands and lay your torso on your right thigh. 7. Downward dog pose: 30 seconds. Exhale as you return to downward dog pose and then repeat poses 5 and 6 with the left leg. 9. Standing half forward bend pose: 30 seconds. Inhale as you step your feet forward, press your hands into your shins and straighten the spine. 10. Warrior II pose: 30 seconds. Lift your torso, step to the side with your left foot and rotate it out, to a 90-degree angle. Bend your left knee, rotate your head to the left and bring the arms up to shoulder height. 11. Warrior I pose: 30 seconds. Rotate your torso to the left and inhale as you bring the arms up and overhead. 12. Lord of the dance pose: 30 seconds. Transfer your weight to the left leg, bend your right knee and bring your right foot toward your right buttock. Reach back with your right hand, grasp your foot, and raise the left hand up toward the ceiling. Repeat poses 10, 11 and 12 on the opposite side. 13. Half lord of the fishes: 30 seconds + 30 seconds. Sit on the floor, cross your right leg over the left, placing the sole of your right foot on the outside of your left thigh. Rest your right hand on the floor, twist your upper body to the right and pull your right knee toward the chest. Stay in half lord of the fishes for 30 seconds and then repeat on the opposite side. 14. Bound angle pose: 30 seconds. Bend your knees, press the soles of your feet together and drop your knees out to the sides. 15. Downward facing dog pose: 30 seconds. Get up, place your hands on the floor, extend your arms and legs, and lift your hips up and back. 16. One legged downward dog pose: Inhale as you lift your right leg up. 17. Lizard pose: Exhale as you step your right foot forward between your hands and slightly to the right. Lower your hips, walk your hands forward and come down onto your forearms. 18. Downward dog pose: 30 seconds. Exhale as you return to downward dog pose and then repeat poses 16 and 17 with the left leg. 19. One legged downward dog pose: Inhale as you lift your right leg up. 20. Pigeon pose: Exhale as you bring your right knee forward and out to the right side. Slide your left leg back and tuck your left toes under. Spread your right toes, elongate the spine and gaze up. 21. Downward dog pose: 30 seconds. Exhale as you return to downward dog pose and then repeat poses 19 and 20 with the left leg. 22. Frog pose: 30 seconds. Get down on your hands and knees, walk your knees out to the sides, as wide apart as it feels comfortable and place your forearms on the mat. Flex your feet and rest the inside edges on the mat. 23. Child’s pose: 60 seconds. Sit on your heels, relax the spine, neck, and shoulders and feel the stretch in your lower back. 24. Corpse pose: 2 minutes. Lie on your back and extend your arms and legs, letting them drop open. Close your eyes, allow your feet to rotate to the sides and keep your palms facing up. 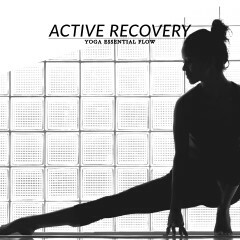 Move your hip joint through its entire range of motion with this hip opening yoga flow!